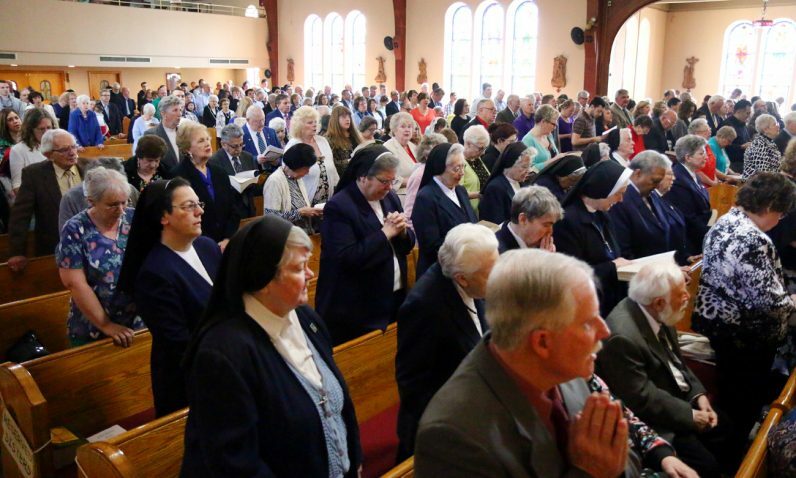 More than a few parishes in the Philadelphia Archdiocese that are named for particular long-dead saints really honor them as the patron saints of then-living people, perhaps the reigning pope, bishop, pastor or a wealthy donor. According to parish lore, this is the case with St. David Parish in Willow Grove, with one exception. When it was founded 100 years ago the person obliquely honored was neither a churchman nor a person of wealth. David Nolan was simply the proprietor of the local general store, who every day after closing shop came to help with the construction of the church. In gratitude Father Edward Curran, the founding pastor, had the parish named St. David as a way of showing gratitude for Nolan’s service. 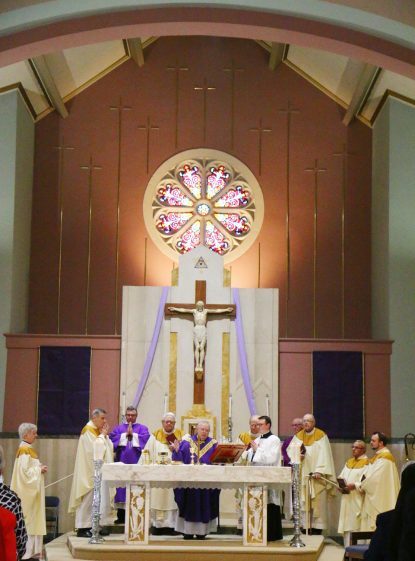 The St. David’s Church that Archbishop Charles Chaput visited on April 7 to celebrate the parish’s centennial Mass is actually a larger, more recent church that was dedicated in 1952. Actually it is a second time around for Father Connors. 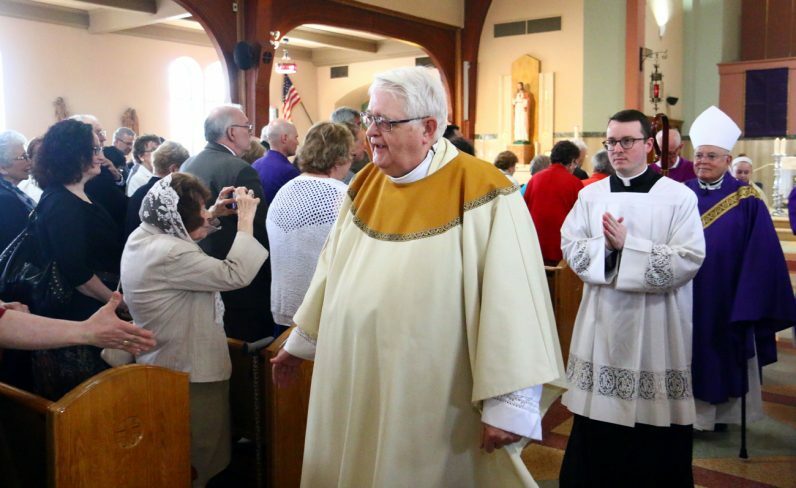 He served as parochial vicar at St. David under Msgr. Bolger from 1999 to 2009, then was named pastor five years ago. The St. David Parish of today remains solid, with a registered population over 6,000, according to the most recent available figures. Although it now has only one assigned priest, “All of the spiritual, social and educational needs have continued to be met,” Father Connors said. “We have many active and involved parishioners and we are living out our calling to be witnesses to Christ,” the pastor said. The choir, under the direction of Stephen Kowalchik who is retiring after 40 years, continues to be a point of pride for St. David Parish.